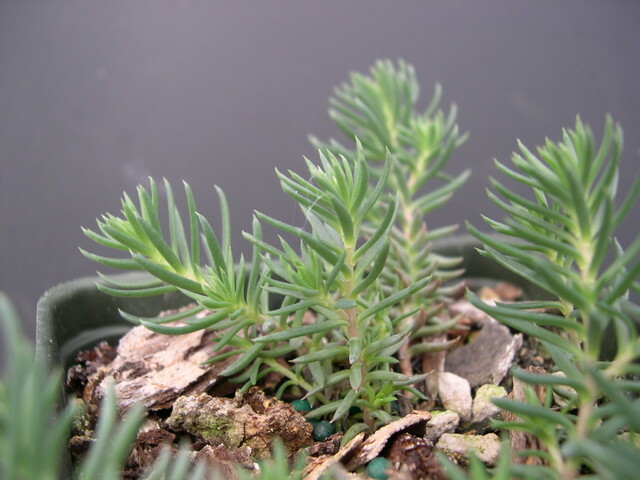 This glaucus green variety has a creeping, but not invasive, habit. Flowers are whitish. Tolerates the heat of summer well. Southern Europe.